Most companies struggle to create clear marketing that increases sales. I help companies by writing BrandScripts, creating campaigns and compelling design. Customers want your product, let’s motivate them to buy. Schedule a free 30 minute call to discuss your needs. After the proposal is approved, we will dig in and help create clear marketing. Once everything is implemented, your sales should increase. Examples of my work. Click to reveal. 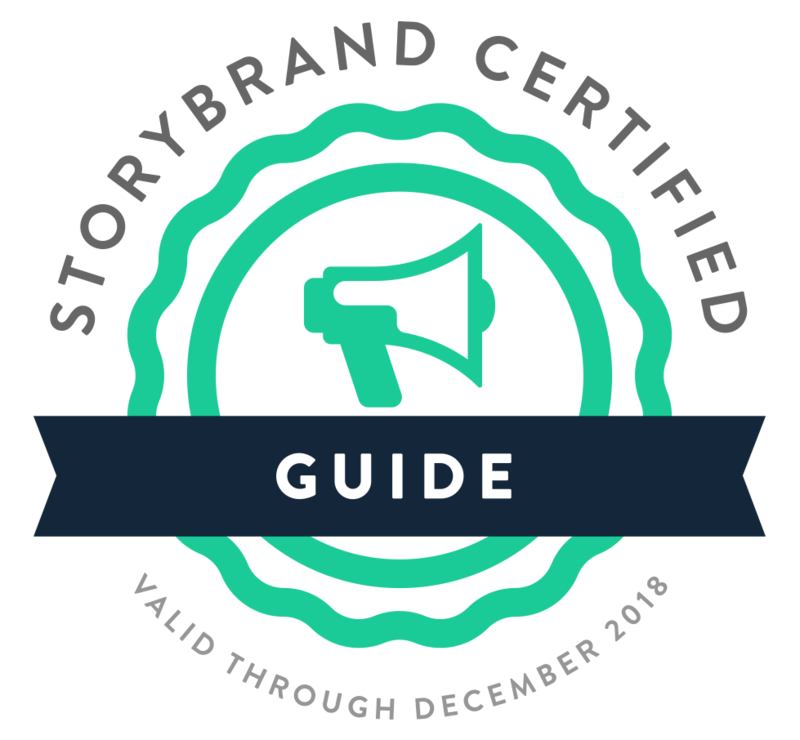 Using the StoryBrand framework, I help brands clarify their message. I wireframe websites and consult with companies to make sure their message is clear and actionable. Getting your website to attract and capture leads is key to any successful marketing campaign. I can help you design lead generating .pdf’s to engage customers and give them a reason to come to your site. In our digital world, print is still alive and with the right messaging, can be an integral part of your marketing strategy. I design for all types of printed materials from buses to business cards, billboards to brochures. I get attention for your brand. Using creative ideas for campaigns is what sets your brand apart from the competition because we don’t want to lose to the competition. I’ve designed logo’s for everything from local to national brands. If your company needs a new brand or an update to an existing brand I can help. I speak about StoryBrand, Embracing Life and Creativity.